Another jam packed weekend around here. Saturday I went to a Sampler class at my LSS. Dinner was pizza and a movie at home. Sunday we went to a different pool. It had a slower lazy river and another zero depth pool. Home for late lunch and naps and then reheats and another movie. It has been too hot even in the evening to go outside. Last night it was 94 degrees after dinner. Fortunately we are supposed to cool down about 10 degrees on Tuesday so we are not FULLY into the summer YET. If you take the challenge by Friday be sure to email it to Tiffany. 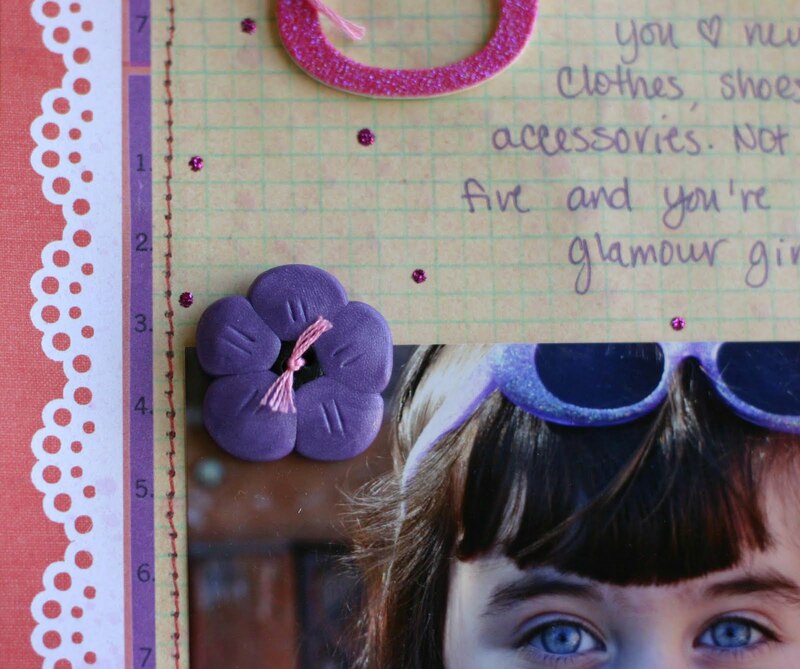 That layout was made with 100% goodies from the May Main Kit. They are still available so go over and check it out if you like those bright colors. 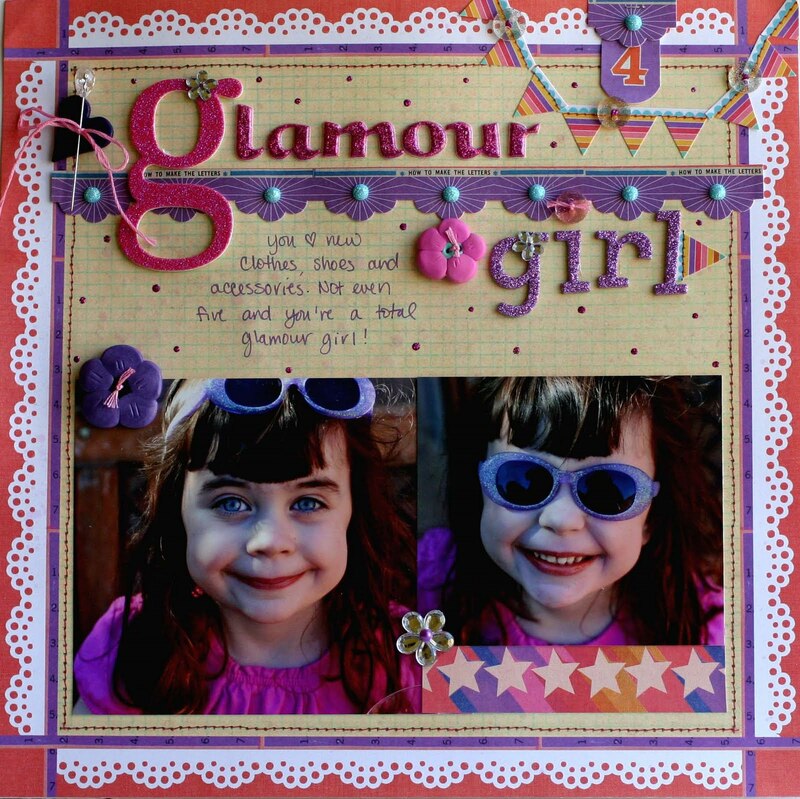 Finally, just wanted to let you know that Serendipity Scrapbooks is having another FUN crop starting this friday! Well actually there are a few pre crop challenges up already! you can check them out HERE and HERE. Then come back on friday for the start of the crop--there are going to be lots of fun challenges and prizes all based on classic TV shows. Beautiful layout Rebecca!! 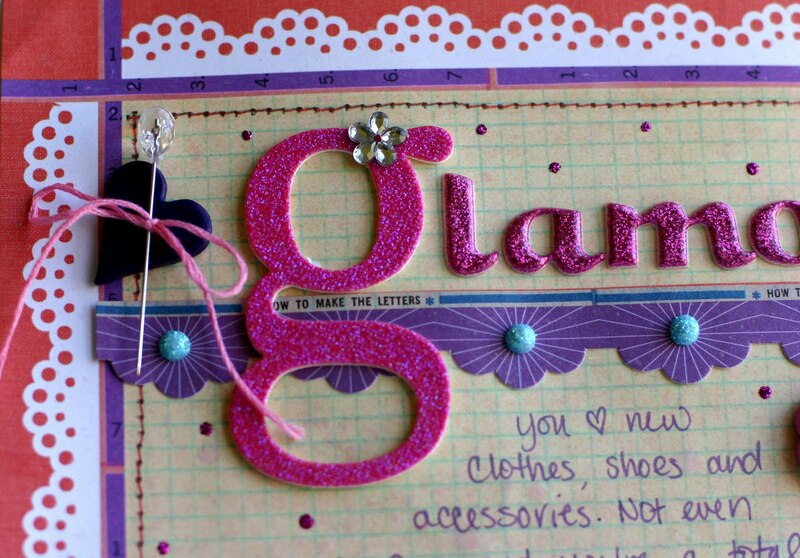 I love all the bling you used. I can't believe it's that hot for you already, it rained on us today. BOO!! I want summer! LOL! Cute pages! Love the banner in the top corner surrounding the "4" tag, and love the "s/he" on the other page! Lovely layouts -- girly and fun for the first one! We're not even close to 'hot'... it's definitely still Spring here. I was camping last weekend and woke up to my tent iced over! Love your layout Rebecca! I left you a little something on my blog today! Go check it out! 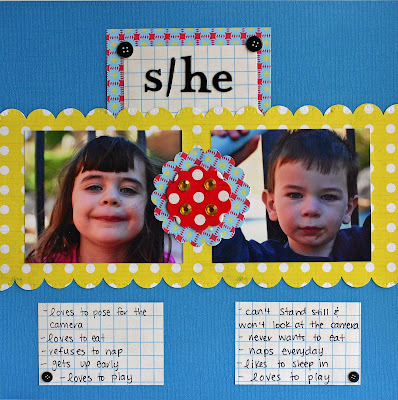 Love the LO with Hello Sunshine and what a great topic to scrap!